These terms and conditions govern the supply of goods sold by Walls and Ceilings International Limited (no: 01573912) trading as https://www.walls-and-ceilings.co.uk/ (us) of 3-5 Tything Road, Arden Forest Industrial Estate, Alcester, Warwickshire B49 6EP to the customer (you) and constitute the entire and only agreement between us in relation thereto. Payment - All prices are exclusive of VAT at the prevailing rates and are correct at the time of entering the information onto the system. The total cost of your order is the price of the goods ordered plus VAT plus delivery charges as set out in the web site. 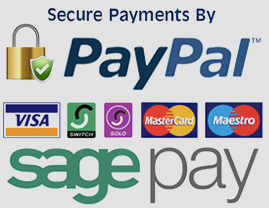 Payment can be made only by Sage pay or PayPal. All credit/debit cardholders are subject to validation checks and authorisation by the card issuer. If the issuer of your payment card refuses to or does not, for any reason, authorise payment to us, we will not be liable for any delay or non-delivery. Goods must be paid for in full including all relevant carriage charges before we despatch the goods. Prices are correct at the time of going to press, however we reserve the right to amend prices when necessary. On the rare occasion that an error may occur and goods may be incorrectly priced we reserve the right to not supply the goods. Any “was” price displayed on the website shows the previous selling price of the product. This product had been advertised at this price for the past 28 days to the reduced price coming into effect. Returns – If necessary you may cancel your order within 28 days of the date of delivery. Please see the “ Return” section on the web site. If the goods are faulty or parts missing then we would ask that you notify us within 24 hours of delivery. Liability – Upon their being a problem with the goods we will either replace or repair the goods or refund to you the amount paid by you. All our products carry a full manufacturers warranty against manufacturing defects. The warranty will become invalid if the products have not been used in accordance with the purpose they were designed for. Any goods which are subject to a warranty claim should be returned to Walls and Ceilings International Limited for inspection. We shall have no liability to pay any money to you in way of compensation other than any refund we make under these conditions. Our liability to you shall not in any event include losses related to any business of yours or any third party. Nothing in these terms affect or limits our liability for fraudulent misrepresentation.